The minimalistic design is striking. The stainless steel cover and smooth touch screen are modern, hygienic and efficient. 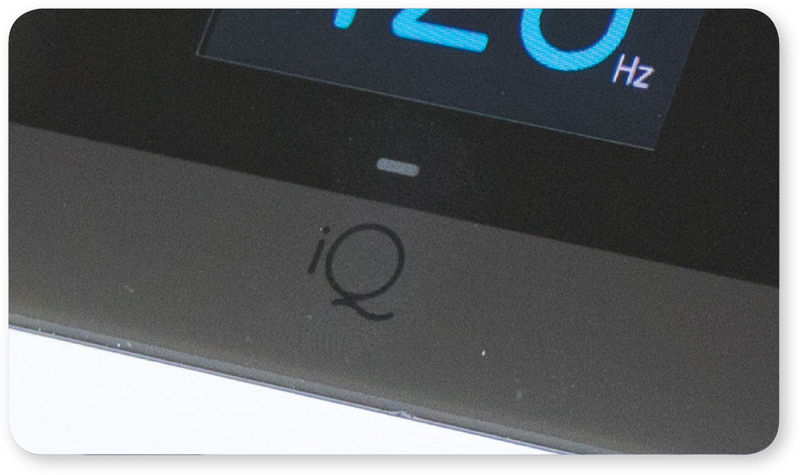 The iQ combines proven technology with a state-of-the-art look. With 70-150 needle insertions per second, iQ is ultra- precise. This makes iQ suitable for micropigmentation and medical applications such as scar camouflage, areola reconstruction, skin re-pigmentation and other procedures. 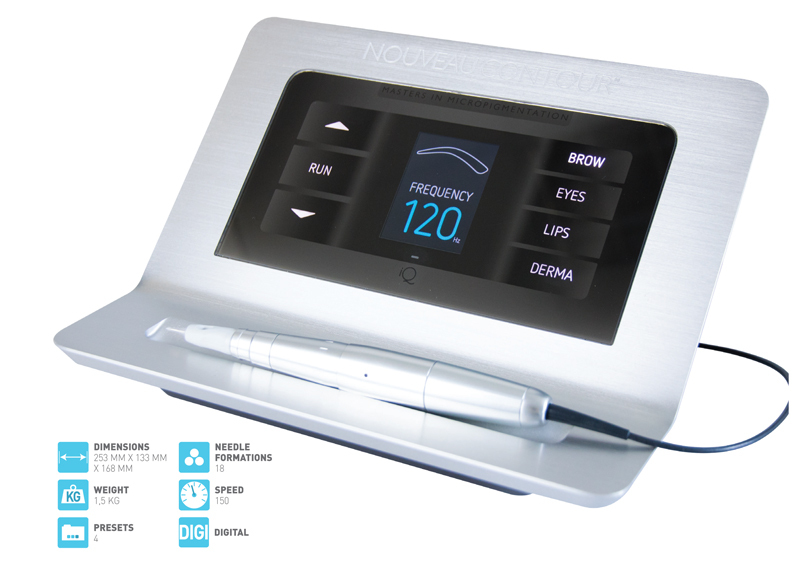 There are four pre-programmed settings for eyebrows, eyes, lips or dermapigmentation. 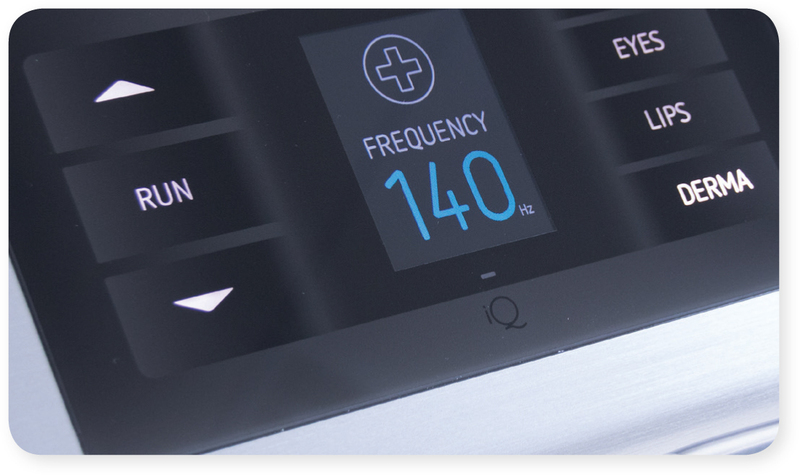 The iQ automatically sets the needle pressure and needle frequency. During pigmentation, the iQ hand piece constantly measures the skin resistance and automatically adjusts the needle frequency and needle pressure for optimal and even pigmentation. The right balance ensures the best results and precise pigmentation. The LCD touch screen display shows the selected treatment and needle speed. In addition, the iQ has a time registration so you can keep track how much time you have pigmented.